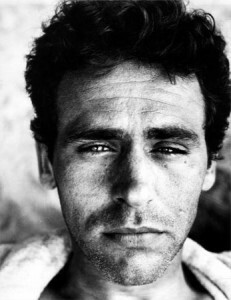 Portrait of James Agee by Walker Evans, 1937. I am going off to write about people. An ordinary proposition, it would seem, particularly for a person who makes a living writing for people and, typically, about people or the things they think about and create. For the next month, I’ll be joining my friend Lucas Foglia in Costa Rica to spend time with and document people who have come to that place from elsewhere in search of something: eco-villagers, retreatants, hermits, surfers, exiles, and narco-warriors. Upon realizing the resemblances, I had no choice but to take out James Agee and Walker Evans’s Let Us Now Praise Famous Men from the library—two young men, a writer and photographer, living in the northeast, the writer from further south, the two going even further south than that for a summer as spies in a foreign world, the intention being to report back and tell the truth and do justice to what they see. Agee, for a time, even lived on a street in Brooklyn that runs parallel to mine, one block east. But finally opening the book and wandering through its words and images, the proposition of writing about people became astoundingly less ordinary. The occasion to read Famous Men came in the last few days, while driving through the South with a friend moving to Oxford, Mississippi—a mecca of Southern literature. Much of the road between New York and Oxford goes through Agee’s home state of Tennessee, and my friend and I read the book aloud to one another as we went, marking the monotone miles of Interstate by the peculiar arrangement of its table of contents. All of this, I repeat, seems to me curious, obscene, terrifying, and unfathomably mysterious. So does the whole course, in all its detail, of the effort of these persons [Agee and Evans] to find, and to defend, what they sought: and the nature of their relationship with those with whom during the searching stages they came into contact; and the subtlety, importance, and almost intangibility of the insights or revelations or oblique suggestions which under different circumstances could never have materialized; so does the method of research which was partly evolved by them, partly forced upon them; so does the strange quality of their relationship with those whose lives they so tenderly and sternly respected, and so rashly undertook to investigate and to record. In the very tirelessness that runs through the whole course of this magnificent book so far, I find so plainly the texture of respect. Not “respect,” the appellation so easily bandied about in the play of politeness and politics. It is, in fact, a respect that isn’t always (or often) “respectful,” for one can find Agee guilty of inevitable intrusiveness, voyeurism, glorification, objectification, condescension, ignorance, and whatever else—all offenses against that thin and impossible ideal. His respect comes through a piety of description, a piety that can become as petty as a prayer for a good grade on a test, which remains piety nonetheless only because what inspires it is its relation to something felt as “curious, obscene, terrifying, and unfathomably mysterious.” That is God, they say, and that is people, as we should well know. I leave tomorrow, early. From now, from then, I intend in my own ways and means, thanks to Agee’s example, to exercise the kind of respect somehow worthy (even if inevitably insulting to) the personhood of the people we’ll be encountering along our way. Keep an eye out for what’s to come, and, if you find it worth the bother, help keep me honest. This entry was posted in Blog and tagged authenticity, becoming, books, empathy, generation, language, orientalism, personhood, responsibility, tourism, writing. Bookmark the permalink. I shall very much look forward to your observations.